Order in next 4 hours and 17 minutes for despatch today. This replacement flat handle was made for Radley luggage. 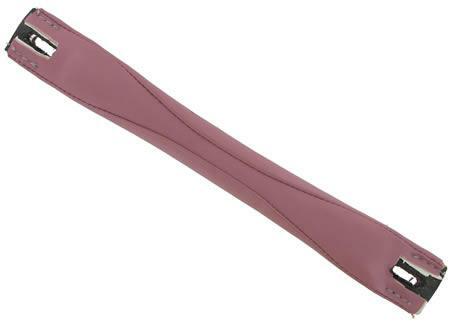 It is available in several colours, including this dark rose pink and is made from durable soft vinyl with a comfortable grip. This suitcase handle is not supplied with any fittings. Whilst access through the lining of the case is usually easy (as it unzips) setting the rivets can be tricky, so you may require the help of a professional repairer - but who are we to doubt your capabilities, why not give it a bash? The approximate length is 260mm. Width varies over the length of the handle from about 25mm to about 35mm.